Close to 40 North Carolina residents came together in Raleigh today for a special Day of Advocacy hosted by TurnOUT! North Carolina (NC), PFLAG and the National Center for Transgender Equality (NCTE). 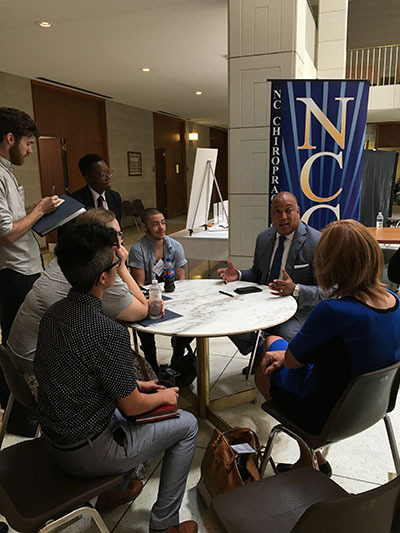 The lobby day was specifically focused on Transgender North Carolinians, their family and friends telling the stories to members of the North Carolina General Assembly. With a special focus on how the discriminatory House Bill 2 has negatively impacted transgender adults and students, and those that support them, today’s lobby day and press conference had one simple demand for legislators, Repeal HB2. The day began with a welcome from Equality NC’s Executive Director and North Carolina Representative Chris Sgro and a brief training from Asa King, Southern Regional Staff Attorney for the Transgender Law Center on how to effectively tell personal stories about how HB2 is impacting transgender North Carolinians from across the state. Equality NC’s Director of Advocacy Crystal Richardson, facilitated a Q&A discussion with Rep. Duane Hall who shared thoughts on an effective lobby visit. Attendees then broke into small groups and made visits to the offices of key legislators -- some of whom voted for HB2 and who need to realize the impact of their vote. Other groups stopped by offices of legislators who voted against HB2 to thank them for standing-up for fairness and equality for all North Carolinians. When the North Carolina legislature hastily passed HB2 during a one-day special session, many legislators did not take the opportunity to hear from their constituents. Particularly absent was the opportunity for legislators to meet with and hear from transgender North Carolinians, their family and friends, so today TurnOUT! 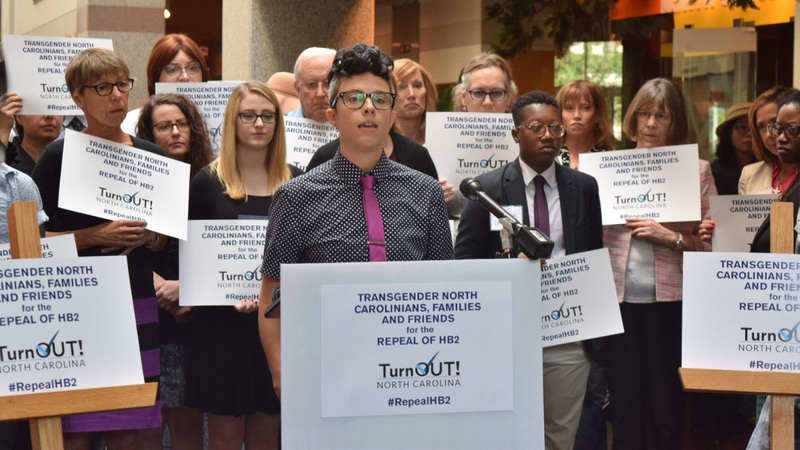 NC made sure that members of the North Carolina General Assembly heard those transgender voices loud and clear, urging a full repeal of HB2. TurnOUT! NC is the joint project of the Human Rights Campaign, Equality NC, Campaign for Southern Equality and the ACLU of North Carolina, with a goal of mobilizing thousands of North Carolinians to speak out for the full repeal of HB2. TurnOUT! NC has field organizers based in Asheville, Charlotte and the Triangle area. Additionally, HRC staff is on the ground working with coalition partners across the Tar Heel State. There are daily opportunities to volunteer with weekly phonebanks and weekend canvassing opportunities. If you live in North Carolina and want to join the efforts to repeal HB2, RSVP for upcoming phonebanks and volunteer opportunities. For more information about our work in North Carolina, contact HRC Associate Regional Field Director Ryan Rowe at Ryan.rowe@hrc.org.